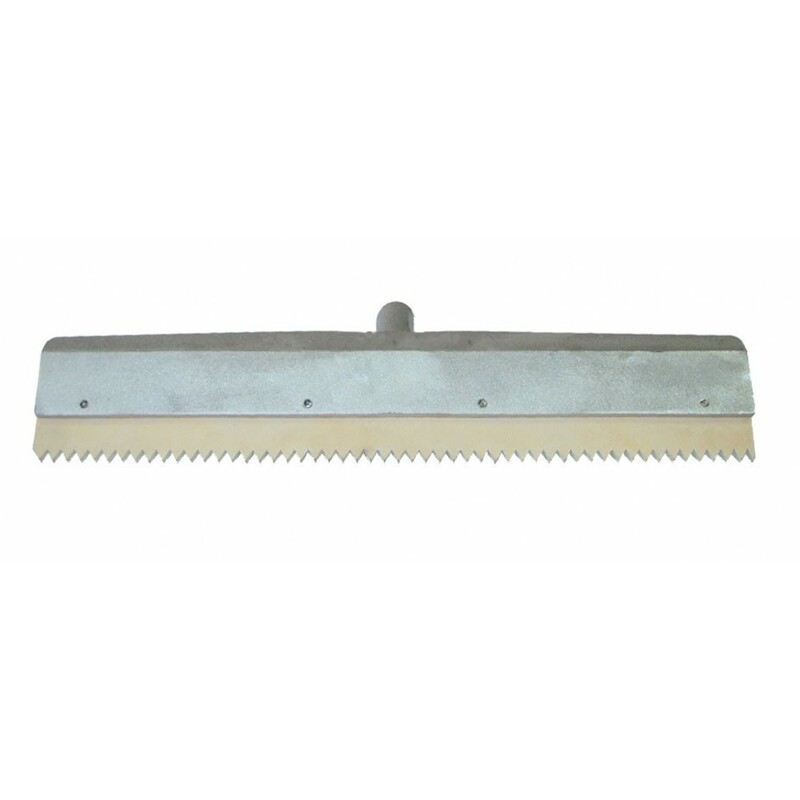 Squeegee Holder for toothed rubber blades. Made of aluminium casting. With wing screws and clamping rail Angle steel mounting with socket for wooden or aluminium pole. Rubber bar is not included. Suitable for articles 4940 rubber blades. Rubber bar for Article 677-Z60 and 677-Z60IMP ..
Rubber bar for Article 677-Z60 and 677-Z60IMPLight coloured rubber bar ..
Rubber bar for Article 677-Z60 and 677-Z60IMP Light coloured rubber bar..
Rubber bar for Article 677Z60 Light coloured rubber bar in shore A60, unruffled and notched size 6..
Economy Squeegee Holder for toothed rubber blades made of extruded aluminium. With 4 wing screws and..